4 Easy Ways To Make Bigger Smoke Clouds! 1. Make sure your hookah is air tight! Check the hose, bowl and base, if you hear air coming through when smoking, you must fix it. 2. 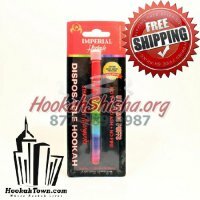 Sensibly, The more charcoals or the more heat supplied to the shisha, the more smoke that will be produced, but you want to do this while keeping your hookah smooth, that is the trick. So how do you do that? 3. Poking more and larger holes into the tin foil on the shisha bowl will allow for more heat to be supplied to the shisha, allowing for it to burn faster, making the clouds thicker bigger and tastier. Make sure to poke a few large holes in areas which will not be close to the coal (like at the side rim on the bowl) to allow for air to get in and keep the temperature at a good level. If the hookah begins to taste burned, move the coal to the side of the bowl and use the air gasket to blow out the non-tasty smoke, then continue pulling with the coal on the side of the bowl instead of the center. 4. The amount of water you place in your base will also have an impact on how smooth your hookah is, so if you would like to have big clouds it is suggested you use more water. Other liquids can also help smooth out the smoke, such as milk , ice water or teas.